Brodmann’s PE 118V is the ultimate instrument for a Music Salon. 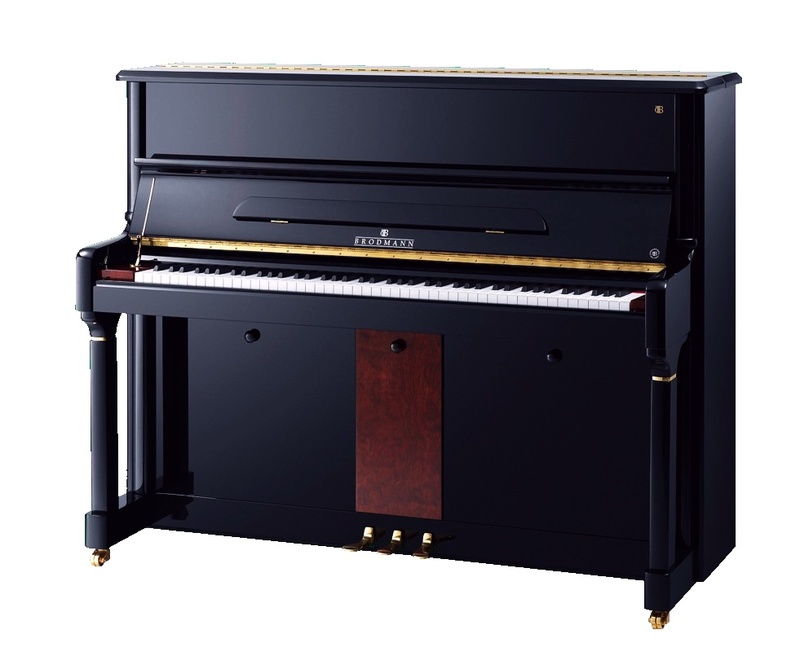 Having all the finest features, touch and sound of a high-end instrument, this piano is an superb choice for the client who wants only the best. Finished in Ebony Polish with Bubinga Accents, it has 7¼ octave (88 keys), 3 pedals (including mute), Strunz Solid Spruce Soundboard, Viennese Scaling, Carbon Fiber Action and Slow-Close Fallboard. H: 118 cm / 46"